The Great British Bake-Off is over (Nadia: “I can. And I will.” An inspiration to women everywhere.) Strictly has begun. The nights are drawing in and bookshelves are groaning with books to be read in the long, dark evenings, and bought for friends and family as presents in the months to come. But which books? How to choose? 12 Teen Books About Refugees. Scottish Book Trust. OK, so first of all, I’m going to include the list that includes me. Because, obvs. We all have the refugees from Syria and elsewhere on our minds right now, and many books bring this issue to life for children in deep and surprising ways. Jo Cotterill’s Looking at the Stars has been nominated for a host of awards, and rightly so. Eoin Colfer, of Artemis Fowl fame, has announced that he’ll be publishing a graphic novel with Andrew Donkin called Illegal about a refugee next year, and I can’t wait to see it. But meanwhile, the Scottish Book Trust has reminded me that my very first book was about a refugee too. I thought I was mad to combine a book about three teenage girls in the London fashion scene with a story I wanted to tell about child soldiers in Uganda, and the repercussions on their families. But that’s what I did. Crow Lamogi is still one of my favourite characters, and always will be. I very much doubt she came into this country entirely legally, but I am equally certain that she will do London, and her heritage, proud. Refugees and their children are often the lifeblood of a vibrant culture and economy. Let’s talk about them, and read about them, and be them for a bit, if only in a story. It will make us more compassionate, and this world needs all the compassion it can get right now. The best young adult books of 2015 … Daily Telegraph. I don’t have a book out this year (my latest, due out in spring 2016, took ages to write), so I’m taking a great deal of pleasure in all my friends’ success. I’m lucky to have lots of writer friends, and they’ve written lots of great books recently. In fact, I’m off to a launch party for one of them this evening – When I Was Me, by Hilary Freeman, combining quantum physics, parallel universes and the very recognisable pain and promise of being a teenager. You can see Blamemybookshelf‘s review of it here. One series mentioned by the Telegraph that I’m particularly pleased about is Keris Stainton’s Reel Friends, for younger teens. 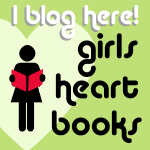 Keris is an old friend of mine, and we met online because she has always, always championed YA books – since before that’s what they were called. And especially books for and about girls. (Even though she’s the mother of two boys, and has written successfully about them too.) The Reel Friends series subtly addresses issues of diversity that children’s fiction still doesn’t bring to life often enough. Sure, the wonderful Nadiya Begum won the Bake-Off final last night, but how often do you see a girl in a hijab on the cover of a book? Or a girl exploring her developing feelings for another girl? I do a lot of school visits as an author and I regularly meet girls who I don’t think see themselves represented in the fiction they read, and who would hug Keris’s books to their heart. 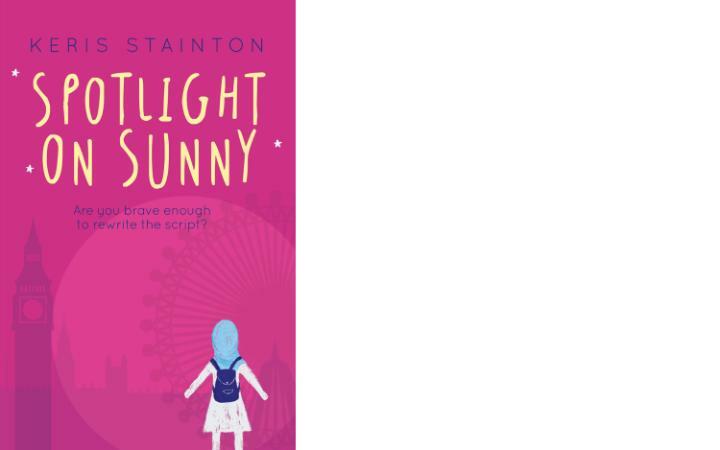 I’m including a link to the review of Spotlight on Sunny by Teens on Moon Lanes – another blog bigging up children’s books right now (and linked to a local bookshop of mine), which I’m happy to see. If you want more general reviews, suggestions, advice and the ability to buy, there’s always the fantastic Lovereading4kids. 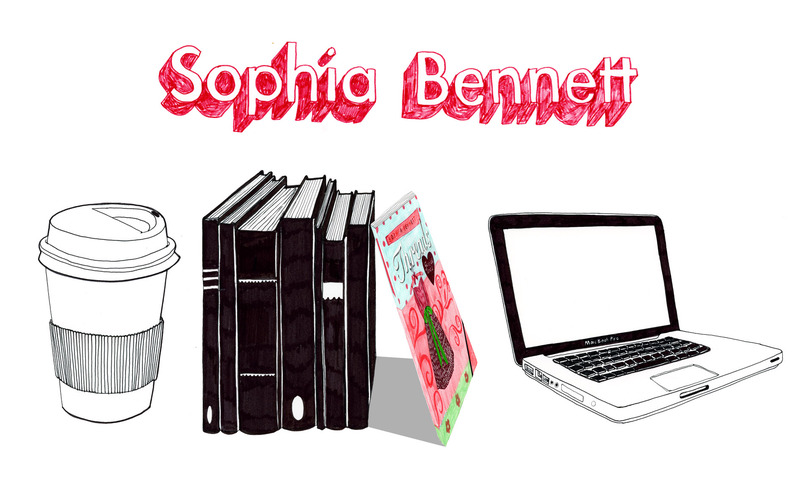 If I were to set up a website about children’s books – as Julia Eccleshare did a few years ago – it would be like this. Oh, and I notice that one of its recommendations is for One, by Sarah Crossan. Can a book about conjoined twins, written in poetry, be really, really good? Yes. Yes it can. (Sarah also throws really, really good launch parties. But the quality of her maccaroons in no way biases me. I’d read the book first and already found it wonderful.) CJ Skuse’s Monster is there too. If you feel like a bit of boarding school horror – and who doesn’t? – try this one. CJ never pulls her punches and the ending will leave you with a very uncomfortable feeling. As any good horror should. More suggestions to come, for 9-12 readers. About dragons and detectives. Two of my favourite subjects. Today I’m not really here. The real me is in the shed. Seriously. Editing editing editing … and meanwhile the virtual me is on Writing for the Tub, with Caroline Green, talking to Carly Bennett about our new courses for aspiring children’s writers at City University London. Thank you for hosting us, Carly! Very kind. And if you want to sign up for a series of fun Thursday evenings in Islington, talking about books and tweaking your writing, then it’s not too late! Details here.